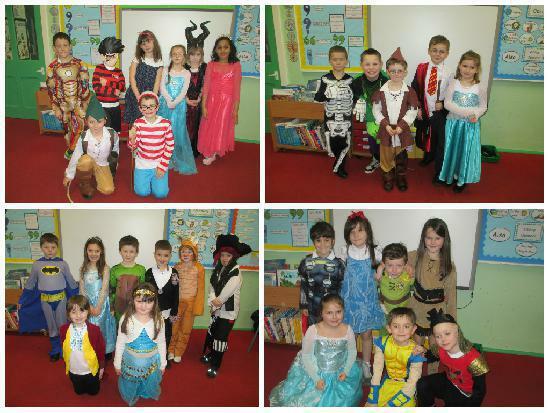 The children all celebrated World Book Day by dressing up as their favourite character from a story book. In the afternoon the children then shared a book with a Year 4. After this they then played book themed board games with Year 5, that Year 5 had created earlier in the day.